Here's a guy who is sorely missed. His untimely death last year rocked the music world, and left a void that will never be filled. 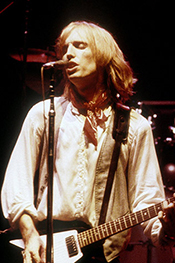 After releasing their third studio album, “Damn The Torpedoes,” Tom Petty and the Heartbreakers went out on tour and followed their success in the studio with such on the stage. This weekend, we’ll listen to a legendary concert from that tour. It was captured live at the Spectrum in Philadelphia on July 9th, 1980. Don’t miss Tom Petty and the Heartbreakers! They’re headlining this weekend’s Live in Concert!